At CrossPoint, our Life Groups gather weekly to go deeper in the Scriptures and follow Christ together, using sermon-based discussion guides. We&apos;ll post the two more recent guides here for your convenience. If you need an earlier guide, visit the sermon archive page. 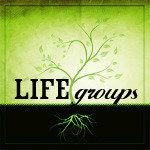 All available Life Group guides are posted with their respective messages.